Knowledge of the causes of forest fires, and of the main driving factors of ignition, is an indispensable step towards effective fire prevention policies. 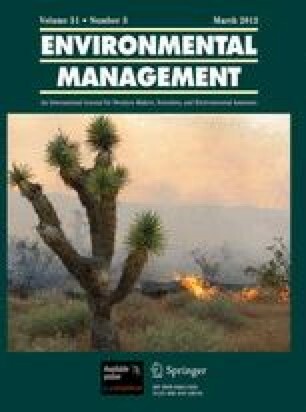 This study analyses the factors driving forest fire ignition in the Mediterranean region including the most common human and environmental factors used for modelling in the European context. Fire ignition factors are compared to spatial and temporal variations of fire occurrence in the region, then are compared to results obtained in other areas of the world, with a special focus on North America (US and Canada) where a significant number of studies has been carried out on this topic. The causes of forest fires are varied and their distribution differs among countries, but may also differ spatially and temporally within the same country. In Europe, and especially in the Mediterranean basin, fires are mostly human-caused mainly due arson. The distance to transport networks and the distance to urban or recreation areas are among the most frequently used human factors in modelling exercises and the Wildland-Urban Interface is increasingly taken into account in the modelling of fire occurrence. Depending on the socio-economic context of the region concerned, factors such as the unemployment rate or variables linked to agricultural activity can explain the ignition of intentional and unintentional fires. Regarding environmental factors, those related to weather, fuel and topography are the most significant drivers of ignition of forest fires, especially in Mediterranean-type regions. For both human and lightning-caused fires, there is a geographical gradient of fire ignition, mainly due to variations in climate and fuel composition but also to population density for instance. The timing of fires depends on their causes. In populated areas, the timing of human-caused fires is closely linked to human activities and peaks in the afternoon whereas, in remote areas, the timing of lightning-caused fires is more linked to weather conditions and the season, with most such fires occurring in summer. This study was funded by the Joint Research Centre of the European Commission, Service Contract no 384 340 “Determination of forest fire causes and harmonization of methods for reporting them”.